PS I apologize for the poor quality of the photo. 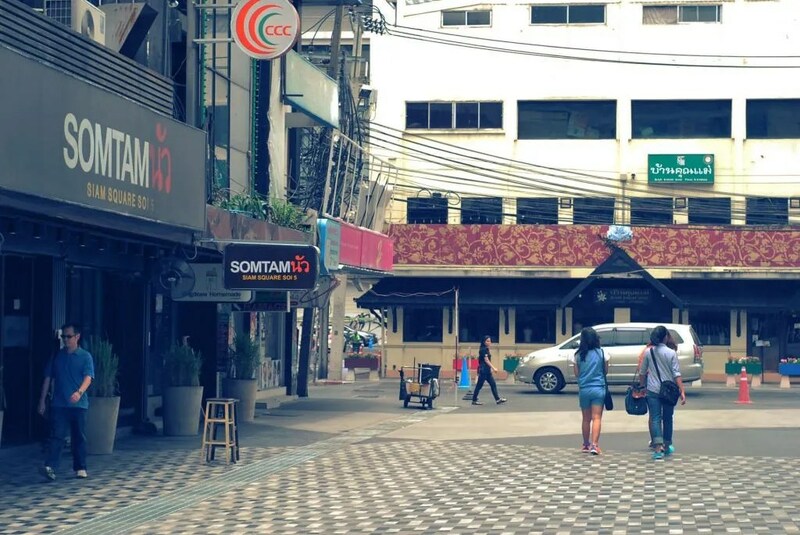 In Siam Square we tried Som Tam Nua which had amazing dishes as well. I enjoyed their fried chicken the most, mainly because it wasn’t that spicy compared to everything else. Their sticky rice was also good. Not a fan of their tilapia though. 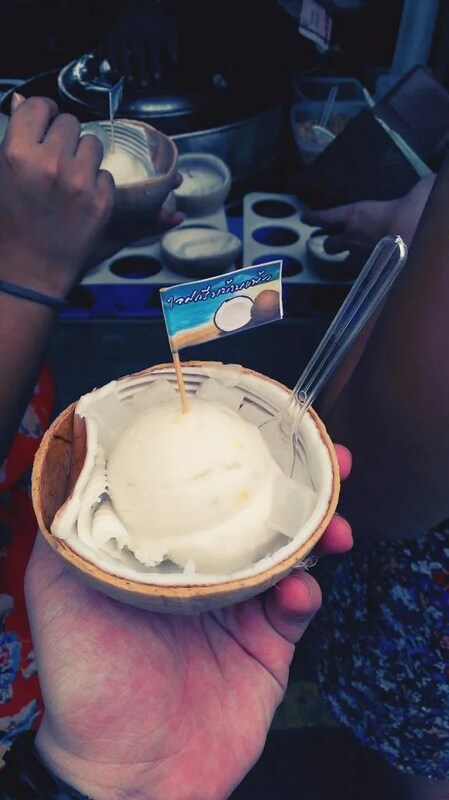 When we went to Chatuchak, we tried the coconut ice cream which delighted us given the extremely hot weather. You can also have toppings placed if you don’t want something plain. Wish they gave us sporks instead. The coconut meat was really good that I tried my best to just scrape some more coconut meat! 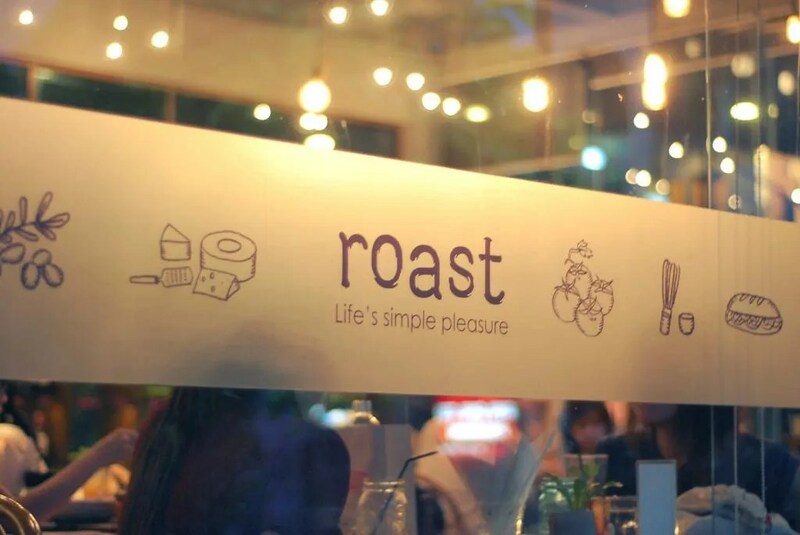 For some reason, my colleagues insisted to accompany me as I wanted to try Roast BKK. I swear they wanted to kill me on our way there as we walked for a good 30 minutes from station before getting to the coffee shop. Was it worth it? YES. I didn’t try any meals, I just got Ethiopian and waffle. 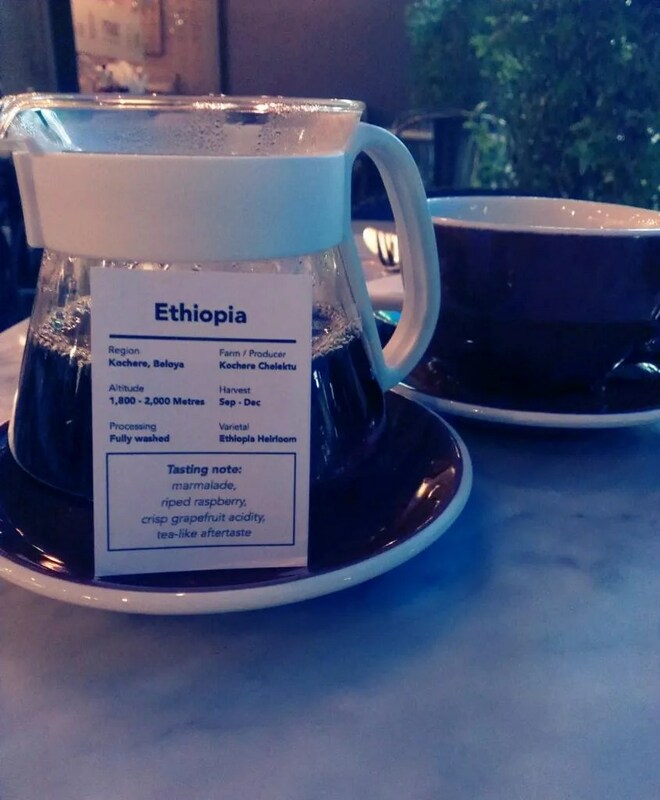 It’s a nice touch placing a small information card on whatever coffee you choose! 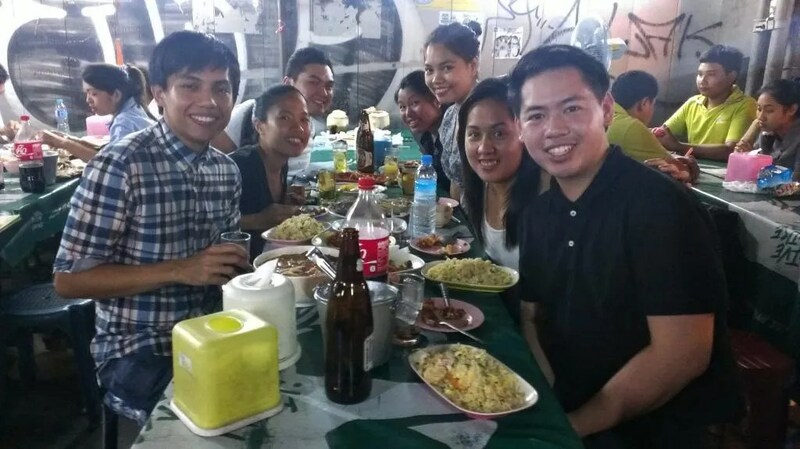 While I was having my coffee and waffle, my colleagues were drinking and after an hour or so, we went back to the station and we started searching for two stalls that were supposed to have Bangkok’s best sticky rice with mango and the other one, I forget. The sticky rice with mango was tasty but the mangoes that were supposed to complement the sweet sticky rice were a bit off. Maybe we were just unlucky with the mangoes we got. 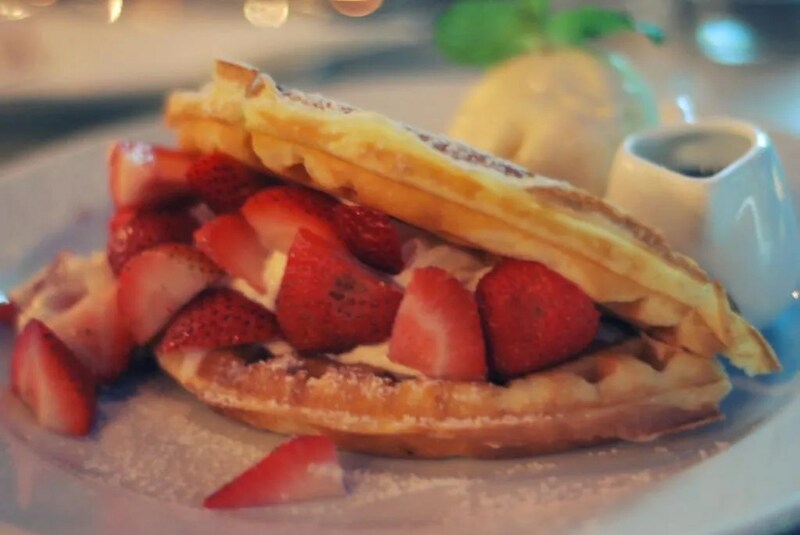 After eating dessert we searched for the best noodles…okay I’m making it up. I can’t remember what we were looking for. It was this stall which is actually owned and operated by two brothers. Was the food good? It actually was pretty good. I preferred the dry noodles over the other one with soup. Why? I actually can’t recall. (Fail) But I enjoyed. I think that’s the most important part. 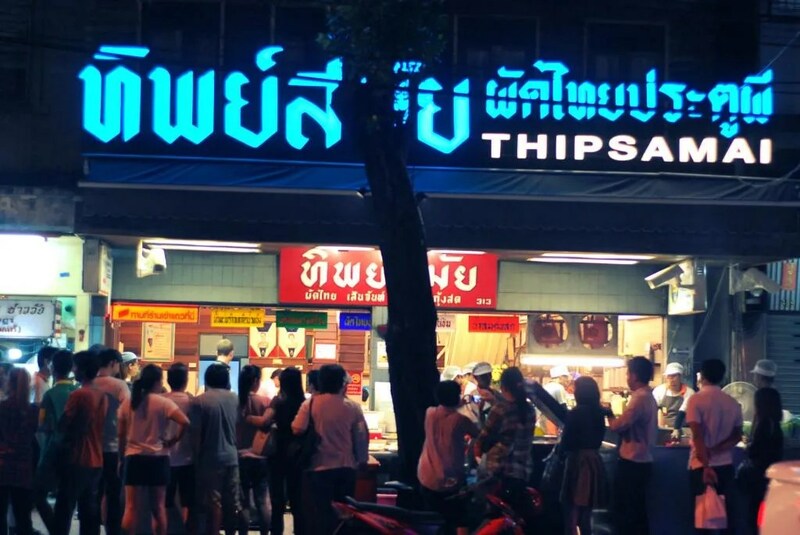 The best dinner we had was the one in Thip Samai. It’s famous for it’s Pad Thai and I perfectly understand why. It’s a bit difficult to go to…well, depends on your cab driver. It opens late afternoon and the line gets long pretty fast. Note that when we arrived, there were only four people in front of us, after a couple of minutes, the line started to stretch to even beyond the store front. Bit of a background story, I actually braved the rain storm for around 30 minutes to hail a cab that would take us there. Thank God for my patience and my trusty Mickey Mouse umbrella. 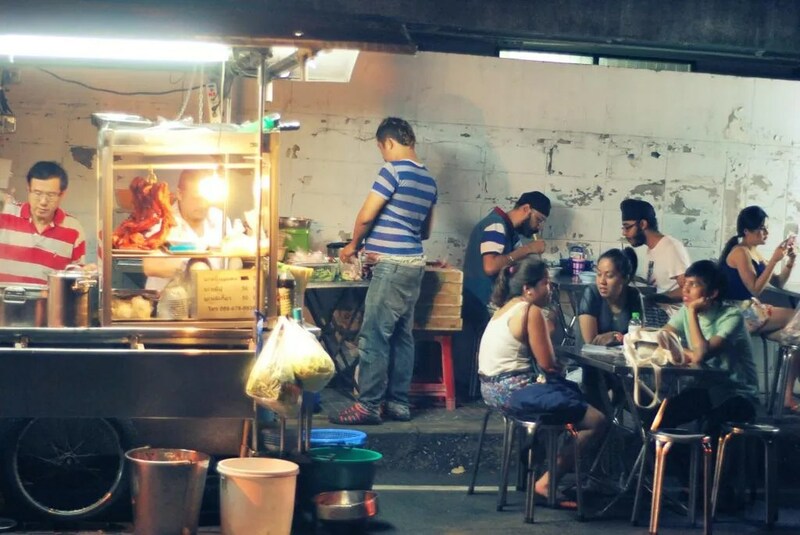 So what exactly is so precious about Thip Samai’s Pad Thai? Everything. 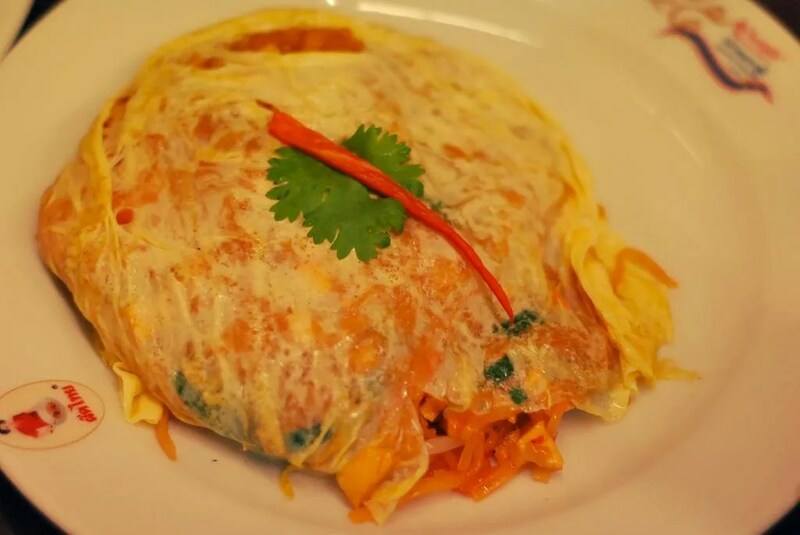 How the egg is cooked to basically cover the whole pad thai. How tasty the shrimps are. How the serving size is decent. The service was pretty awesome as well. I apologize I wasn’t able to take a photo of it when opened. We basically just devoured plates of it. Suggestion: Order coconut juice. 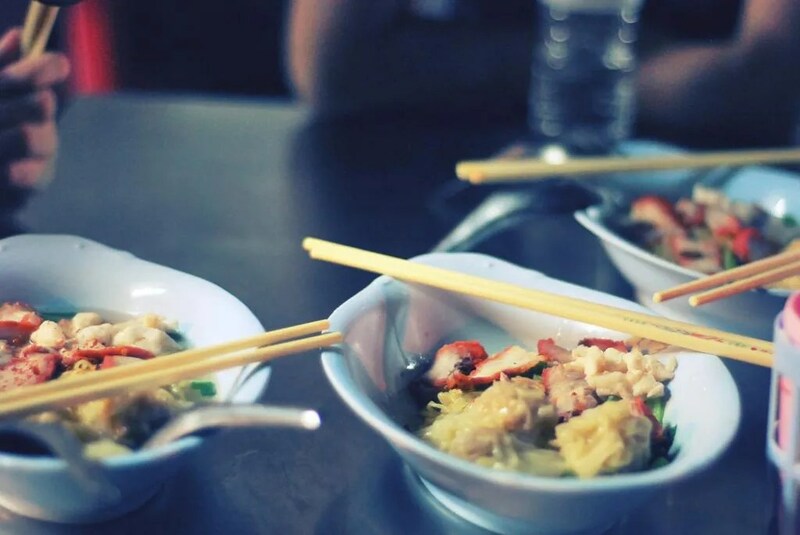 It’s really cheap and it goes well with the Pad Thai. 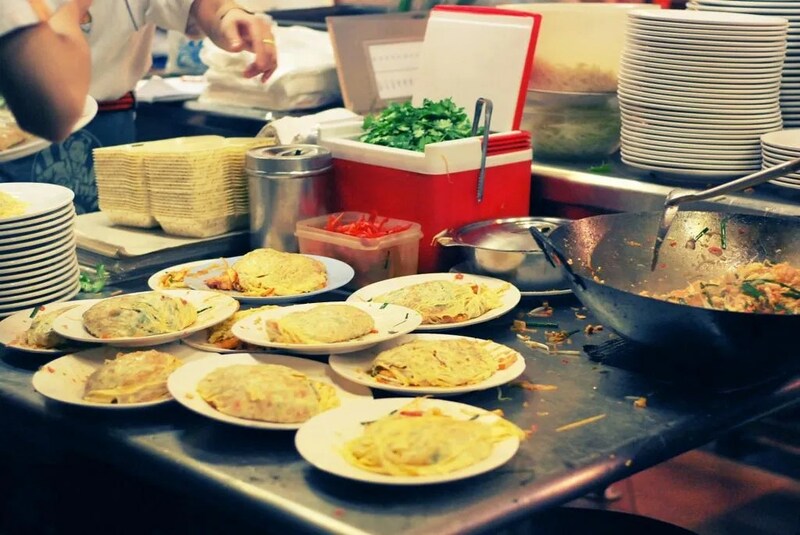 The cooks are able to prepare a lot quickly because people just keep on ordering and it’s amazing how they cook the egg to envelope the pad thai. Drew, Andrea, Diane and I went back to Som Tam Nua for one of our lunches and after that we looked for Mango Tango! 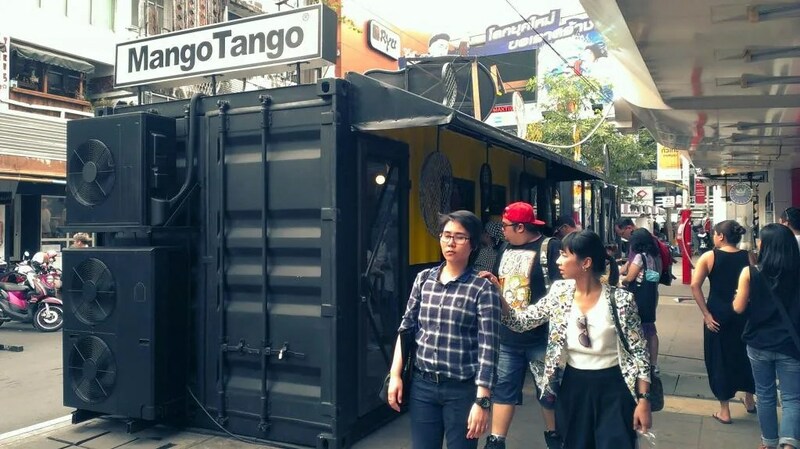 Unlike some of the other great places where we ate, Mango Tango isn’t hard to miss. I forget the name of whatever we ordered but they were very delicious. 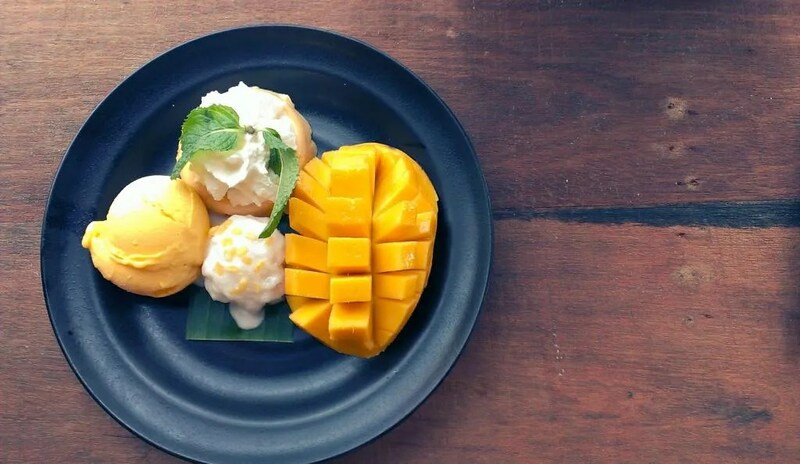 The mangoes were sweet and everything just went well from the rice to the ice cream to the other things on the plate. Amazing experience. Staff could’ve been nicer, but I guess they were just under so much pressure. All good. The quality of the food made up for it.